The latest research from the Journal of the American Board of Family Medicine shows the reason behind the lesser known but rapidly growing popularity of the practice called myofascial trigger point dry needling or dry needling. Dry needling is playing an important role in minimizing both acute, chronic, and post-surgery pain when it is most severe. 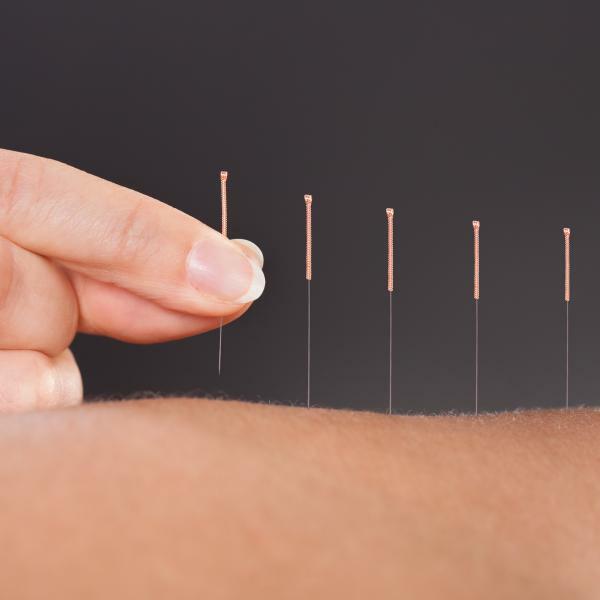 Before we take a closer look into these findings, it is important to understand what exactly dry needling is, its role in helping to mediate injuries, how dry needling differs from acupuncture, and what conditions it is most appropriate for treating. But first, let’s brush up on the origins of musculoskeletal pain as this will help draw a better connection to dry needling and pain. Most patients undergoing musculoskeletal problems have endured some form of pain through the process, or experience decreases in their functional abilities. Because of this, simple activities like walking or standing become troublesome, so people tend to do less of both thinking they will be better off. Unfortunately, this inactivity attributes to several physiology responses such as decreased endurance, stamina, weakness and loss of motion. There may also be a change in gait pattern, which can cause the muscle fibers to shorten or over-lengthen, leading to trigger points. Using surgical t cases as our example, dry needling is beneficial as it helps to reduce trigger points that either developed prior to the surgery or afterwards. During the surgery, tissue is pulled and moved around which can be traumatic to the tissue. It will then respond by shortening and becoming painful. The patient may also not want to start moving again right after the surgery due to pain or other complications from the surgery. Again, lack of activity will cause decreased strength, shortening of the muscles, reduced endurance, etc., ultimately leading to trigger points. The patient’s body mechanics may have changed as well causing the muscle to fire and move in incorrect patterns, which also lead to trigger points. As compared to opioids, dry needling is a safe and effective alternative to controlling musculoskeletal pain especially in chronic pain patients. Opioids have a long list of side effects and can lead to spiraling dependencies. Opioids work by binding to receptors in the brain and body, however, there are limits to the number of receptors that can be utilized. Once every receptor has something bound to it, any additional increase in dosage has no effect. By steadily increasing the dosage level means that the medication is not working and other options need to be explored. See the latest story on how dry needling is more effective than opiods for certain conditions.